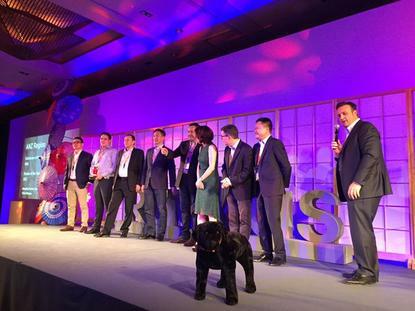 Ruckus Wireless has awarded its top performing partners across the Asia-Pacific region at its Big Dogs conference, which was recently held in Tokyo. This year, Hills took home a number of the accolades, winning both the Asia-Pacific and A/NZ Distributor of the year awards. Alongside Hills, GX2 took home the A/NZ Partner of the Year award and Think Wireless was named Emerging Partner of the Year. Ruckus Wireless A/NZ managing director, Pat Devlin, said Hills continues to deliver for Ruckus and its commitment to be experts in Ruckus Wireless technologies is commendable. Lan 1 (subsidiary of Hills) managing director, Daniel Lee, said it is delighted to have been selected as both the A/NZ and Asia-Pacific distributor of the Year at Ruckus Big Dogs. “We are seeing significant demand for wireless services across the region and, thanks to Ruckus’ technology and partner program, we have been able to capitalise on the demand,” Lee mentioned. GX2 won the award for its strong commitment to engineering resources for customers, for being one of Ruckus’ highest performing partners, having a solid understanding of Wi-Fi technology and the ability to offer enterprise grade support to customers across the region. “Our A/NZ and Pacific Islands business is very buoyant, however we are seeing a significant upturn in new properties in the US and Europe as well,” GX2 global director of sales, Carl Jefferys, added. Think Wireless nabbed the award for its performance and significant growth over the last year. Devlin claimed the team has a deep understanding of Wireless technology and has made a large investment in innovative solutions particularly in support of important education customers. “We are seeing significant demand for wireless technologies in the education sector, as schools are taking advantage of the opportunities which digital learning can deliver to students. “To date, we have supplied wireless networks to over 400 schools and have been selected as the preferred supplier for more Schools Network Upgrade Project tends than any other single integrator,” Think Wireless managing director, Terence Fleming, said. According to Devlin, the company depends on channel partners to achieve success and work with them to ensure products are readily available to end customers, whether for a small, local project or a major nationwide deployment. “Throughout 2016, we expect to continue our momentum in A/NZ, with the help of our partners. There are new technologies and products that will come to market in 2016, which we expect will really shake things up, as well as provide the ‘plumbing’ for IoT and smart city initiatives. So, watch this space,” he concluded.